Join us as we take a field trip down to Paramount Bowl in Lakewood (see map below)! 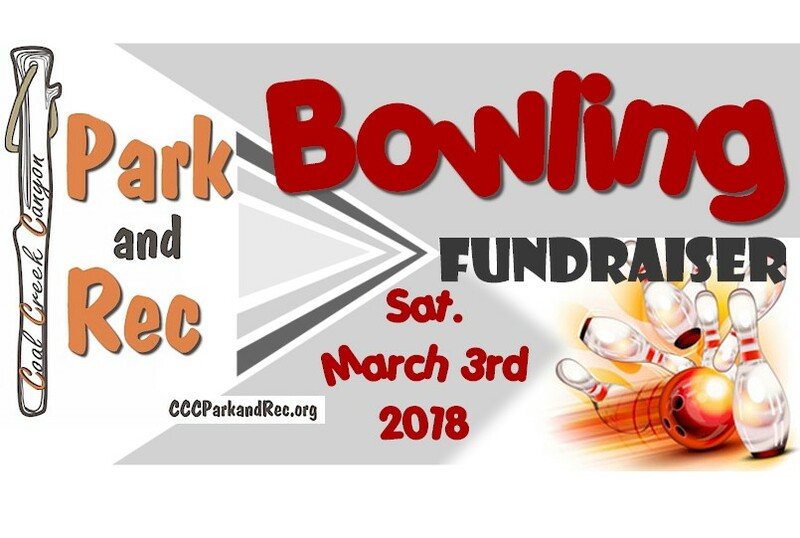 We’ve rented out the entire bowling alley, so come on out and help raise funds for CCCParkandRec! Choose your own lane-mates…up to 6 people per lane! Your name will be put in our evening raffle to win PRIZES! Purchase your ticket(s) online (credit card) or at the bowling fundraiser event via Jeremy (cash, check, or credit card)! Thanks again to those who’ve participated and donated funds in previous years to CCCPRD, as we’re an all volunteer board and your generosity drives our mission. We anticipate seeing you all again, this year on Sat., March 3rd 2018 (8-10 pm) for this awesome fundraising event. Please save the date and we hope to see you all throwing strikes soon!